Hurricane Insurance Claim Lawyers: Denied, Delayed, Underpaid | The Voss Law Firm, P.C. Life after a destructive hurricane can be confusing and scary for families and business owners. If your home or business has been damaged or destroyed during a hurricane get the answers to your questions below. If you don't see what you're looking for here give our experience hurricane insurance claim lawyers a call at 1-888-614-7730 and we can guide you through the process. QWhat can I do if the insurance company's offer for my hurricane claim is too low? QWhat can I do if the insurance company won't pay my hurricane claim due to existing damage? QWhen is the right time to contact an attorney about hurricane damage to my business? QWhat if I don't have proof of personal items that were in my home before a hurricane? QIs a hurricane legally considered an "act of God" in Texas? There is no doubt that these huge storms can leave a shocking wake of damage, even as they move further inland and are downgraded to tropical storms. Homes, businesses, farms, churches, and even cities and counties suffer from the destruction, and entire regions may be rushing to submit their insurance claims and get on the road to recovery. The storm itself, including damage from high winds, heavy rain, flying debris, and downed trees. Flooding and storm surge after the storm, which can cause additional damage to vehicles, structures, interiors, and more. Thieves and vandalism, which may not be covered in some policies. Unfortunately, even for policyholders who feel they have a good understanding of their coverage, insurance companies can be very motivated to limit the worth of hurricane claims. If you have questions about a hurricane insurance claim, or if you believe that your rights as a policyholder have been violated, don’t hesitate to reach out to our hurricane insurance claim lawyers at 1-888-614-7730. It’s important to remember that insurance companies are businesses that have an interest in protecting their bottom lines. While insurance companies aren’t deliberately out to hurt policyholders who have already been through an ordeal, there are times when insurance companies fight against paying the true worth of hurricane claims. Additionally, when large or densely populated areas are affected, it can slow down claims, stretch contractors and adjusters thin, and open the potential for rushed estimations and underestimated claims that don’t take into account deeper damage. Delays in resolution of a claim are frustrating, and any problems with a hurricane insurance claim can make settling for less look more inviting for policyholders after serious storm losses. 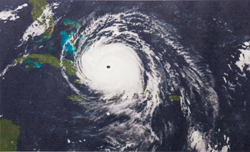 Assess hurricane losses thoroughly and effectively. Determine potential sources of recovery. Help you plan for temporary and long-term repairs. Handle documentation and communication with the insurance company. Fight unfair delays, denials, and underpayments. It shouldn’t have to be stressful to get the recovery you deserve from your insurance company. If you’re ready to get help with a difficult hurricane insurance claim, we encourage you to reach out to us at 1-888-614-7730. In a completely free case review, our attorneys can listen to your concerns, answer your questions, and explain more about your rights as a policyholder.